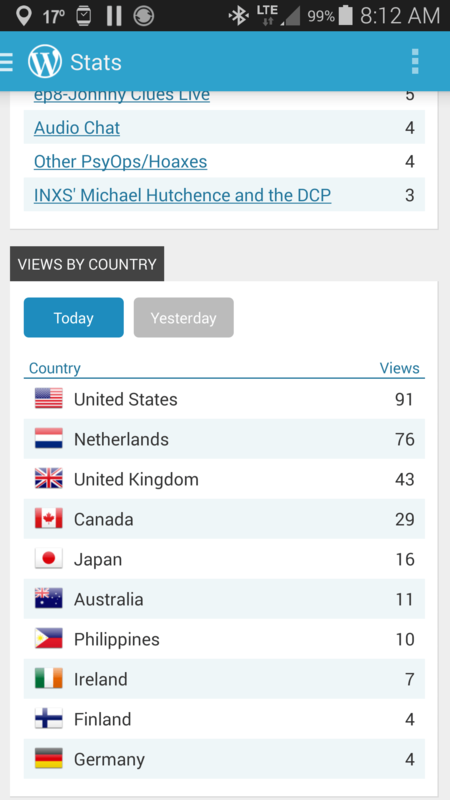 Just looking at my stats for this morning, it appears that the MH17 Psyop was clearly meant for the Dutch. Too bad their biggest Podcaster son Adam Curry thinks it was a real event. He really should study 9/11 and the famous Vicsim report of cluesforum.info…. Make sure you listen to ep8-Johnny Clues for a great analysis of the fakery by JC, Banazir and Videre. This entry was posted in Psyops and tagged mh17 on July 26, 2014 by ab.